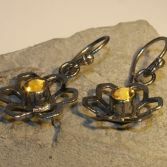 Pretty 3D Citrine Flower earrings are exclusive to JBJ and have be handcrafted by me. The earrings Flower and ear wires are made from sterling silver which has been oxidised to give the silver a blue black finish, setting off the beautiful golden colours of the 5.0 mm Citrine gemstone. 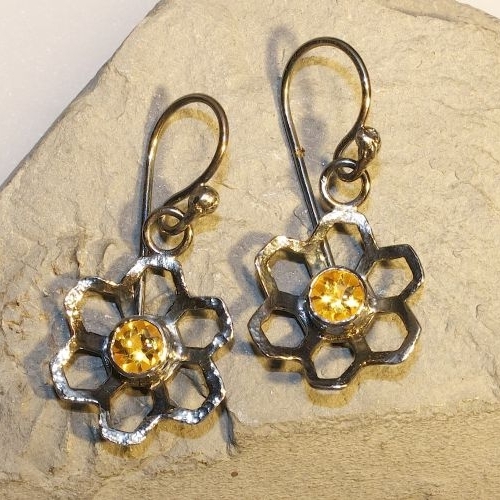 The loop of the ear wire has been soldered together for extra safety. 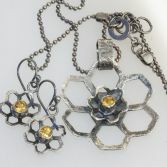 The have full UK hallmarks stamped and an official Assay Office. 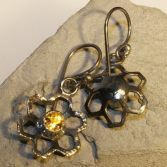 Your Citrine Flower Earrings will be placed into one of my signature gift boxes and posted via Royal Mail 1st Class (signed for) delivery to any UK address free of charge.